You have come to expect the ultimate service from Progress. We give you professional spot removal, environmentally safe wet cleaning and dry cleaning service products. Your garments are hand finished to keep them looking like new. Progress cares for your dry cleaning needs by utilizing the most modern technologies. Special care is given to all your dry cleaning. After we professionally finish each item, we ensure that there are no loose or cracked buttons. We also take care of any minor repairs at no additional cost. Our goal is to return your garments to you looking their very best. Your wedding day is one of the most important events of your life and a day for keeping memories that you will cherish forever. Your wedding gown should receive the same care and safekeeping as your memories. Progress Cleaners will clean your gown to its original beauty and store it for future generations. It is a special honor for many brides to be able to wear an heirloom bridal gown on their wedding day. But sometimes these gowns may need some individual attention and color restoration before the wedding. Progress Cleaners hand cleans your special gown, reinforces the seams, and reattaches any beads and other embellishments where needed. To prevent any damage to the fabric or dye, only an environmentally safe solution is used to clean the perspiration and other stains. Bridal gowns represent a significant financial investment, and many brides and their families want to store and protect their gowns for future generations. We understand the importance of preservation and restoration better than most. And we can protect and preserve your gown for the next generation of brides. 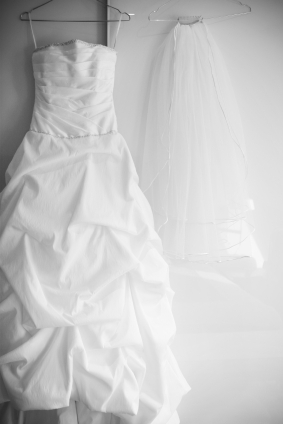 Let Progress Cleaners help preserve your wedding gown and your memories. We will place your gown in a premium quality acid-free box. Trusting the important task of preserving and restoring your bridal gown is a major step, and one that we very seriously. With the best care available, you can extend the life of your high quality bedding and linens. We have the most sophisticated facilities and equipment to maintain their appearance. From Battenburg lace to fine embroidery, we take the extra care these delicate pieces require. Progress will handle your exquisite linens with the same gentle touch and attention to detail.